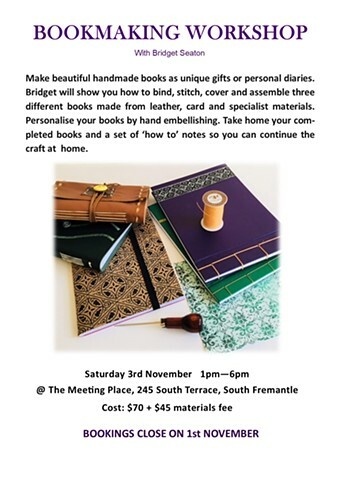 Use your creativity to personalise your books with hand embellishing and decorative stitching. Take home your completed books and a set of ‘how to’ notes so you can continue the craft at home. Spaces are limited so please book by 1st November.